Sounds like a shady deal. New York campaign finance records show American International Group donated $100,000 to the state Democratic Committee just before Democratic Gov. David Paterson and his insurance superintendent launched marathon sessions to prop up the embattled insurer. The contribution was made Aug. 29. Insurance Superintendent Eric Dinallo started negotiating with AIG and federal officials within about two weeks. On Sept. 16, Paterson announced the "great news" that New York officials helped the giant insurer strike a historic loan deal with the Federal Reserve to keep AIG afloat. Spokesmen for the state Democratic party, Paterson, Dinallo and AIG had no immediate comment Thursday. The state's effort is credited with giving AIG time to survive. 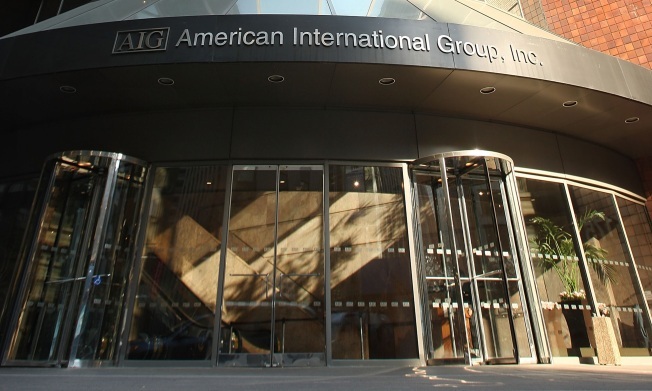 Now Washington lawmakers are blasting AIG for paying more than $160 million in bonuses to employees of a division primarily responsible for the meltdown that led to an $85 billion federal bailout of the company. Meantime, AIG's corporate office is warning its employees not to wear AIG insignia or badges for safety reasons and to report any suspicious activity to 911. Evem for AIG the check was big for AIG, which showered New York Democrats -- and Republicans when they were in the Senate majority -- with thousands of dollars in campaign contributions. But since January 2006, the largest single check had been for just $2,500, and most were about $350 or $500. AIG and Paterson singled Dinallo out for keeping the effort under way, in part by putting together a $20 billion state plan that was supplanted by the federal bailout. The $85 billion federal loan saved thousands of jobs nationwide, protected insurance policy holders, and salved _ if temporarily _ the nation's hemorrhaging financial markets while protecting New York City's financial sector. In Washington, Sen. Chris Dodd, D-Conn., acknowledged Wednesday that his staff agreed to dilute the executive pay provision that would have applied retroactively to recipients of federal aid. However, Dodd said he was not aware of any American International Group Inc. bonuses at the time the change was made. Over the years, Dodd has been the top recipient of campaign contributions from AIG employees. During 2007-2008, when he ran for president, he received nearly $104,000 from AIG employees and their families, according to the Center for Responsive Politics, a nonpartisan group that monitors money in politics.